As a little boy, his father was away for months at a time, traveling the seven seas. One day he showed up at the door of their home in Bilbao. The boy didn’t recognize him. “Who is that man?” he asked. 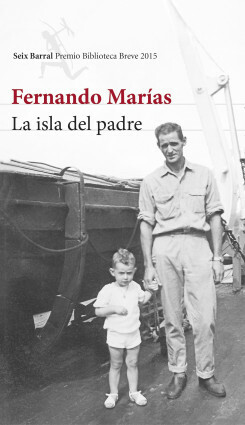 On the border of memory and fantasy, this is a book that springs from the death of Leonardo Marías, when his son Fernando employs writing as an alternative to grieving, and fearlessly enters every corner of himself and his relationship with the inaccessible character of his seafaring father through the eyes of the child, teenager and young man he was as well as the mature man he is today. Father and son set off on a journey into the landscape of childhood and its paucities, through an early fascination with literature and film; an itinerary populated by pirates and evildoers, by fears and legends, by the presence of a mysterious hero that becomes a role model. Over the course of this freewheeling voyage Fernando Marías is able to find the balance between nostalgia and closure, between fear and certainty. An homage to the literature and cinema that uses many different narrative techniques: from a conversation with a dead father to the license to suspend time on a train, or putting a spotlight on tiny fleeting moments that shape who we are.